Do you know your purpose in life, the reason why you are alive? Atheist philosophers and social commentators and might tell you that life is a pursuit of experiences or the accumulation of wealth, and then you die. What a meaningless and hopeless existence. But there is an antidote for a meaningless life. 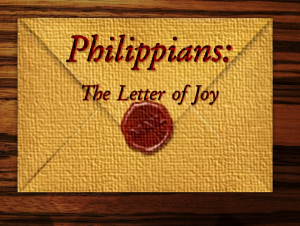 Writing from his position of incarceration, the apostle Paul encouraged the Philippian believers to continue to pray for him in Philippians 1:19. He knew that their prayers for him were effective and that God was moving on his behalf, for his deliverance, because of their prayers. Paul wasn’t stating that he knew he would be released from prison, rather he was certain that God was moving on behalf of their prayers towards His good and perfect plan for Paul’s life. Whether that meant, release from his chains or his execution and release from his suffering, Paul was content in the will of God for his life. Paul continues in verse 20 that he has an eager expectation, he is looking forward with hope, not for his own freedom, rather he was looking forward to the goal of being full of courage, so that Christ will be honored in his body, whether by life or by death. Paul had the eager expectation that his very life would be spent so that Jesus would be magnified through his life. But does Christ need to be magnified? After all, how can a mere human being ever magnify the Son of God, the creator of the universe? The stars are much bigger than a telescope, and yet the telescope magnifies them and brings them closer. The believer’s body is to be a telescope that brings Jesus Christ close to people. To the average person, Christ is a misty figure in history who lived centuries ago. But as the unsaved watch the believer go through a crisis, they can see Jesus magnified and brought so much closer. The believer’s body is a “lens” that makes a “little Christ” look very big, and a “distant Christ” come very close. This verse is Paul’s personal mission statement, his lens by which he interprets all of life. Paul writing to the Galatian church elaborates on his mission statement (see Galatians 2:20). Whether we admit it or not, we all have a mission statement like this. Some examples of mission statements that we could have if we used Paul’s statement as a template. For us to be able to agree with Paul and say, “to die is gain”, we need to have a rich and deep understanding of eternity. Sadly, the lack of focus on eternity is what hinders most of our devotion for the Lord and lack of faith. I sometimes wonder by the way we live, we don’t really believe in eternity, we give lip service to it, but we don’t really live for it. We spend so much of our lives focusing on the next forty or fifty years, focusing on a career, savings, retirement or building a business, when everything around us and everything we spend so much time accumulating will be gone in just a few years. But we who believe in a loving Heavenly Father who created and sustains all things, if we give our lives to the Lordship of Jesus and the spreading of the Gospel, church planting, and discipleship as Paul did, we will be building an eternal legacy. In verse 23 Paul wrote that he desired to depart this earth. Paul was not afraid of dying, for him it simply meant “departing.” This Greek word was used by soldiers and it simply meant to take down your tent and move on. What a great picture of Christian death, the “tent” we live in is taken down and the spirit goes home to be with Christ (see 2 Corinthians 5:1-7). Not only does Paul write that to be with the Lord is his desire, he says that it is far, far better. Paul was absolutely convinced that the life to come, was much better than what we experience here. 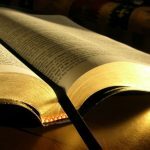 In verses 21-23 Paul has been wrestling with his desire to leave this earth, but in verse 24 there is a turning point in the passage and Paul knew that he would stay to encourage and disciple the young believers in the churches that he had planted. Paul knew that his staying on this side of eternity was to point people to Jesus and seeing them progress and grow in their Christian walk. Paul didn’t always perfectly know God’s plan for his life (see Acts 16). 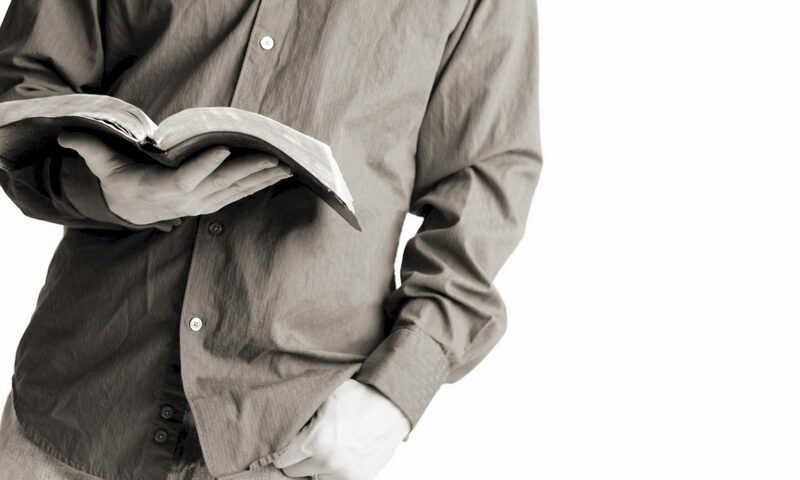 If Paul struggled to hear God, how do we walk this out in our lives? Most of the time it is because we are too busy and have too many distractions in our lives (psalm 46:10). Sometimes it is because God does not reveal his purposes to us and He is calling us to simply trust Him, building our faith. Paul didn’t know the exact plan of God, but one thing he did know was that he would remain, and as long as he remained, his purpose was to help them to grow in the faith. Verse 26, begins with “so that”, Paul would remain to help them grow, to encourage them, so that they would glory in Christ Jesus through Paul’s life and example. This is the chief end of our existence, this is the primary calling of God for His children; to bring glory and honor to the name of Jesus. Can you really say that? What are you living for? Are you living for the things that the world says are important or are you living for God’s will for your life?